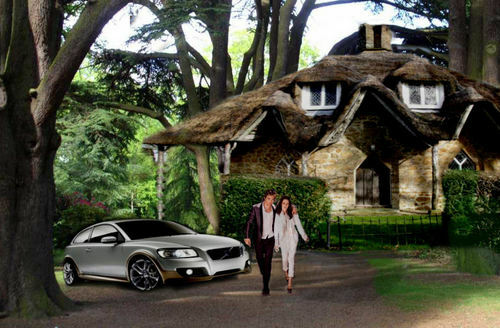 Bella and Edwards cottage Breaking Dawn fan made. . HD Wallpaper and background images in the Serie Crepúsculo club tagged: twilight bella swan robert pattinson kristen stewart edward cullen. This Serie Crepúsculo photo might contain lychgate, lichgate, casa de césped,, casa de adobe soddy, sod house, soddy, casa de adobe, césped, casa soddy, adobe, cubierta a cuatro aguas, tejado a cuatro aguas, techo de cadera, and techos.